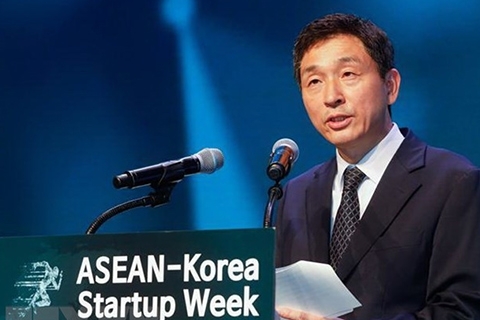 The ASEAN-Korea Startup Week opened on September 13 in Seongnam city, the Republic of Korea (RoK)’s Gyeonggi province. The event, jointly held by the ASEAN-Korea Center and the Gyeonggi Center for Creative Economy and Innovation, aimed to bolster startup in information and communications technology (ICT) in the ASEAN member countries. 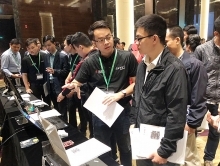 The investment promotion conference held within the week gathered officials from eight ASEAN nations including Brunei, Cambodia, Indonesia, Malaysia, the Philippines, Singapore, Thailand and Vietnam, and 54 managing directors of startups in ICT sector. They shared government policies, initiatives, and incentives to promote ICT startups in their countries, and pitched business ideas to Korean venture funds. Bilateral meetings between businesses took place on the sidelines of the conference, creating opportunities to set up business cooperation network. General Secretary of the ASEAN-Korea Center Lee Hyuk said that ASEAN is home to such startups as Grab, Go-jek, Tokopedia and Traveloka, which have grabbed the attention from global venture funds. Their investments in the ASEAN ICT startups rise average 53.8 percent each year over the past decade to reach US$7.9 billion in 2017. Besides bolstering startup in ICT in ASEAN countries, the organizing board hoped that the week will pave the way for Korean startups and venture funds to increase their presence in ASEAN, he said.